Amnesty International Ireland is the Irish branch of the international non-governmental organisation focused on human rights. That international organisation is London-based with millions of members and supporters around the world. Amnesty’s success depends in large part on growing, engaging, motivating and empowering its volunteer activist base. When it came time for Amnesty Ireland to renew its activism strategy, the organisation recognised that a core part of that renewal was to effectively involve that activist base in strategy formulation. What did the base need to be effective? What were the base’s recommendations on where Amnesty should focus? What were the base’s opinions on Amnesty’s evolving mandate? SurveyGuru designed an extensive online survey and advised Amnesty on how to maximise the response rate through a combination of email invitations sent direct to activists as well as PR through the organisation’s website and Facebook page. The results achieved a margin of error of approximately 4%. SurveyGuru then carried out a detailed analysis and interpretation of the results and provided a detailed report to Amnesty which included a list of objective recommendations. 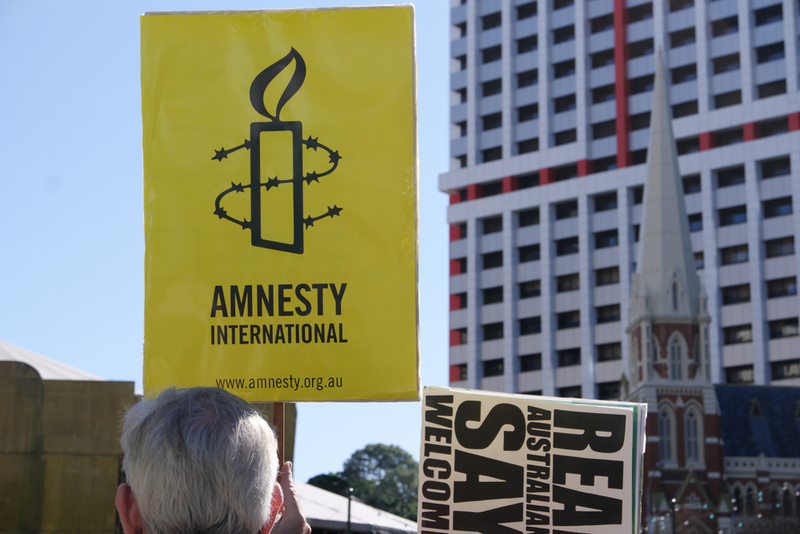 By knowing what had originally attracted people to join, Amnesty learnt what it needed to continue doing to retain those members and to attract more new members. 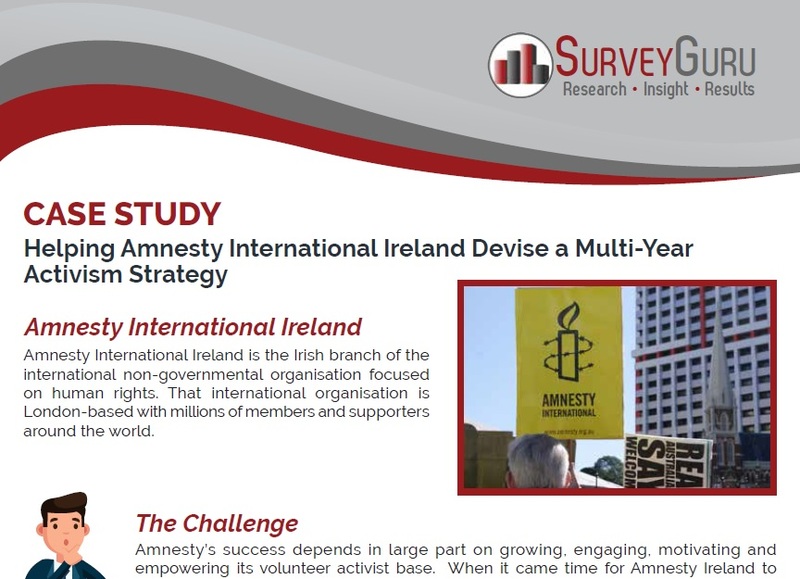 By getting a sense of what activists wanted the organisation to focus on, Amnesty was able to design the optimal mix of work on Irish issues versus working on international campaigns and campaigns in other particular countries & regions. As Amnesty’s mandate has evolved to incorporate economic, social and cultural rights, it was very useful to learn what type of mix the activist base wanted to see between work on those “newer” areas versus Amnesty’s traditional work on civil and political rights. The internet didn’t exist when Amnesty was established (in 1961). For Amnesty to move with the evolving technological landscape, it was important to determine what tools and techniques activists wanted at their disposal in order to be effective. The survey also helped Amnesty identify the training needs of its activists. Overall, Amnesty got an accurate and detailed feel for the specifics of what its activist base was thinking, what they needed and what they recommended. This ensured that Amnesty’s emerging strategy would reflect the views of that base and would resonate with that base.